Apple cider vinegar (ACV) is a pale to amber color vinegar made from "apple must" or cider. It's is made by crushing apple fruits to squeeze out the juice, then yeast and bacteria are added to the juice to stimulate and speed up the process of fermentation. The yeast and bacteria convert the sugars into vinegar in a two-step reaction by first breaking down the sugars into alcohol (yeast), then the alcohol is further broken down by an acetobacter (acid-forming acetic bacteria) into acetic acid, which is the main active compound in vinegar. Unfiltered ACV contains enzymes, proteins strands and certain beneficial proteins. It also has about three calories per tablespoon consumed. No many vitamins are present though. It does have some traces of potassium ions and antioxidants. Apple cider vinegar has been implicated to play a role in weight loss. However, most people do not understand how apple cider vinegar is actually helpful for weight loss. It is, therefore, important that we not only understand how useful it is for weight loss, but also understand how it actually plays a role in weight loss. It was recently published on the American Diabetes Association website that vinegar helps to lower insulin levels in the blood. High insulin concentrations in the body prompt the cells to absorb excess glucose, more than what they need. This excessive absorption of glucose activates a complex biochemical process in the cell which acts to convert the excess glucose into lipids (fats). The fats are then deposited in the adipose tissues leading to weight gain. The fact that vinegar acts to reduce the concentration of insulin in the body helps the cells to keep check of the excessive intake of glucose. This in turn lowers the chances of weight gain. Vinegar has also been shown to cause satiety. Satiety refers to the feeling of being full. Scientific evidence indicates that when we are hungry, we tend to crave carbohydrate rich foods, and this means we take in more glucose than we need to quench our cravings. The excessive intake of glucose activates the lipogenesis process that converts the glucose into lipids. These lipids accumulate in the adipose tissues and cause weight gain. The intake of vinegar inhibits the lipogenesis process by making us feel full, and this prevents the intake of excessive glucose which activates the lipogenic pathway. does this by lowering the postprandial (after-meal blood sugar) glucose level. The active compound of vinegar is acetic acid. A study by Dr. Nobumasa Ogawa of Tokyo University revealed that acetic acid has inhibition properties against most of the carbohydrate digesting enzymes. This includes enzymes such as maltase, lactase, amylase and sucrose. 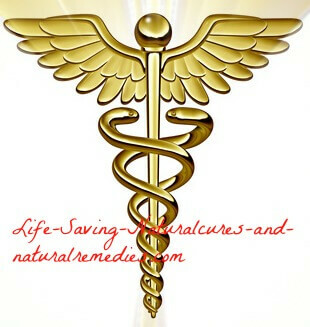 The effect of this is that some of the carbohydrates acted upon by these sugars pass through the intestines undigested. This in turn helps to lower the body's blood sugar level because the end product of this compound is a glucose that is easily absorbed into the blood stream. Unlike other alcoholic drinks, ACV has very low calories and only contains three calories to a tablespoon. High intake of calories has greatly contributed to cases of obesity across the world. The low level contained in ACV implies that the chances of someone accumulating excess calories from consuming ACV are close to zero. Studies also indicate that two tablespoons of apple cider vinegar together with one ounce of cheese reduces fasting blood sugar levels. This is advantageous in that it protects us from having cravings for sugar and thus reduces our chances of gaining excess weight. 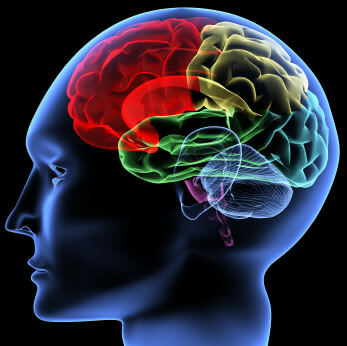 A reduced blood sugar level will automatically stimulate the brain to send signals to stop the intake of excess glucose. In conclusion, vinegar is a key player in weight loss and the maintenance of acceptable body weight. 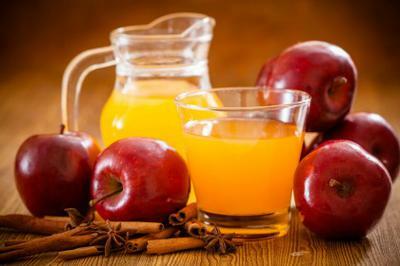 It is therefore encouraged that we include ACV in our diet as a sensible approach to cut excess weight. Some people tend to believe that apple cider vinegar is a miracle cure. This is not the case. Its health benefits have been scientifically proven in some studies, particularly in the case of lowering blood sugar levels and for weight loss. ACV has been reported to cause gastroesophageal reflux disease and excessive burping in a number of people, so it is recommended that we mix it with food instead of consuming it alone. Otherwise, ACV has very few side effects and its health benefits greatly outweigh any minor side effects that may be experienced. Stevan McGrath loves to explore the world through travelling and thrilling getaways that adventure lovers dream of exploring. His writing domain revolves around topics such as health and fitness, wearable technologies, and product reviews. He has been a contributing writer for various websites since 2011. His articles are well-researched and published on several quality sites. You can follow him on Twitter and Google+. Congratulations, another terrific article Stevan! I would like to add that cayenne pepper is also excellent for weight loss, and for diabetics too! ACV and cayenne pepper combined are two of my favourites for overall good health and for staying lean. Great tips! I will definitely try them out and I want to share few tips also to lose weight fast.